Welcome to the website of the International Conference on Technology, Knowledge and Society. 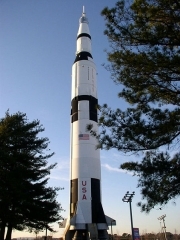 In 2009, the Conference will be held at Huntsville, Alabama, USA from 30 January to 1 February. This Conference will address a range of critically important themes in the various fields that address the complex and subtle relationships between technology, knowledge and society. Plenary speakers include some of the leading thinkers in these areas, as well as numerous paper, colloquium and workshop presentations. The Technology Conference is a participants’ Conference. Participants are welcome to submit a presentation proposal either for a 30-minute paper, 60-minute workshop, a jointly presented 90-minute colloquium session. Parallel sessions are loosely grouped into streams reflecting different perspectives or disciplines. Each stream also has its own talking circle, a forum for focused discussion of issues. For those unable to attend the Conference in person, virtual participation is also available. We encourage all presenters to submit written papers to The International Journal of Technology, Knowledge and Society, a fully refereed academic Journal. Virtual participants may also submit papers for consideration by the Journal. All Conference participants who have finalised their registration will receive a complimentary online subscription to the Journal. This subscription is valid until one year after the Conference end date. If you would like to know more about this Conference, bookmark the Technology Conference site and return for further information-the site is regularly updated. You may also wish to subscribe to the Conference and Journal Newsletter. The Technology Conference is held annually in different locations around the world. The inaugural Technology Conference was held at the University of California, Berkeley, USA in 2005. Since then, the Conference has been held in Hyderabad, India in December 2005; at Cambridge University, UK in 2007; at Northeastern University, Boston, USA in 2008; and a symposium on Technology and Democracy was held at McGill University in Montreal, Canada in June 2006. Conference participants may submit papers for refereeing and publication to the Technology Journal, before the Conference and up until one month after the Conference. Papers submitted for publication will be fully refereed. The publication decision is based on the referees’ reports. access to the electronic version of the Journal, as well as the option to submit papers to the Technology Journal.